The aim of this site is to make your life a bit less stressful by giving you simple ways to figure-out some of the more complicated bits of your course. You’ll find explanations, study tips and general info on your subjects which should hopefully make it easier to understand some of that tricky stuff you have to learn. There’s info for Animal Care students from NC, HNC and HND levels and you can filter what you see by clicking the categories – over there to the left – otherwise, just have a poke around. If you want to suggest any tips you’ve discovered or invented for yourself, you can leave comments by going to the ABOUT page . Hope you find this helpful and remember, no one’s expecting you to be rocket surgeons! To be informed of regular updates to the site you can choose whether to FOLLOW us (see the ABOUT page) or subscribe to the RSS feed. One feature of biology we see over and over again is the ability of water to follow salt. If salt is moved from one place to another the water will follow it in order to ‘dilute it’. The process of water moving from one place to another in order to dilute is known as Osmosis. Anatomy and Physiology students will see this happening in the kidneys: If the body is dehydrated, the hormone Aldosterone is released by the adrenal glands. Aldosterone causes salt to move from the kidneys back into the blood-stream. Water follows the salt from the kidneys back into the blood-stream, rather than ending up in the urine. The dehydration is prevented from getting worse. The idea of competitive and non-competitive antagonism can be a tricky one to understand. An antagonist could be a medicine which binds to a receptor on a cell and blocks access to that receptor. This will prevent an agonist (i.e. one of the body’s own chemicals such as a hormone) from binding to that receptor, blocking its effect. The antagonist binds to the same receptor that the agonist wishes to use, effectively preventing the agonist from doing so. It is competitive because both the agonist and the antagonist are competing for the same receptor. In non-competitive antagonism, the antagonist and the agonist are not trying to bind to the same receptor. The antagonist will bind to a different part of the cell but, due to the antagonist’s shape, access to the receptor is still blocked. It is ‘non-competitive’ because the agonist and the antagonist are not competing for the same receptor. When the body is invaded by infectious organisms such as bacteria, viruses or parasites, it is vital that the body’s immune cells get to the sourse of infection as quickly as possible. 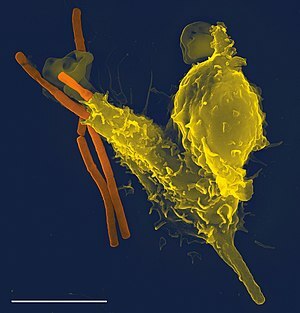 Infectious organisms (known as ‘pathogens‘) as well as damaged cells all release chemicals into the tissues around the infection or area of cell damage. The immune system recognises the presence of these chemicals and sends its immune cells in the direction of the chemicals in order to fight the pathogens or remove the damaged cells. This process is known as ‘Chemotaxis‘ and the first immune cells to arrive at the problem are the ‘Phagocytes‘. There are six basic nutrient groups. Three of them provide energy and three are non-energy nutrients. Sugars – Provide energy quickly, they are relatively simple molecules and are absorbed and used efficiently by the body – glucose is the most important simple sugar. Starches – Provide energy more slowly as they are longer chains which must first be broken down into simple sugars before they can be used. Fibre – Fibre is an indigestible form of carbohydrate in cats and dogs. Rabbits, Horses and Ruminants (like cattle and sheep) can break down fibre to use as energy. Cats and dogs cannot break down fibre and so it can be used to bulk out the diet and control an animal’s weight by making the animal feel full without providing lots of energy. The Mitochondria are structures or ‘Organelles’ found inside cells. They are termed the ‘Powerhouse’ of the cell because they generate energy in order for the cell to be able to carry out its functions. The process of energy generation is called ‘Cellular Respiration’ and involves a chemical reaction known as ‘Oxidative Phosphorylation’. Oxidative Phosphorylation occurs on the surface of the inner membrane of the mitochondrion. Cells which use a lot of energy, e.g. Muscle Cells have a lot more mitochondria than cells which do not require a lot of energy, e.g. 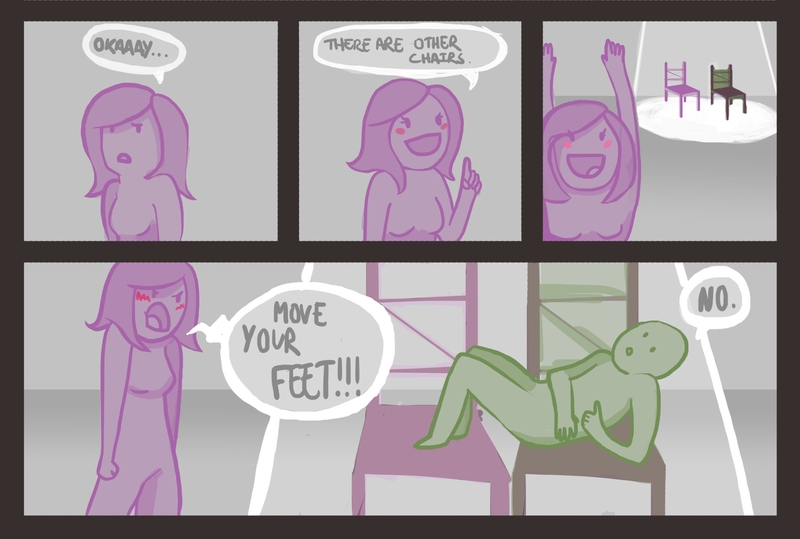 Fat Cells. The mitochondrion has two membranes, an inner membrane and an outer membrane. The outer membrane is smooth but the inner membrane is folded – this means that there is more space (a larger surface area) for Oxidative Phosphorylation to take place. These folds are known as ‘cristae‘. Also inside the mitochondria are ribosomes (another organelle also found around the cell itself) and a ring of Mitochondrial DNA. For interest: the mitochondrial DNA shows many similarities to bacterial DNA and differs from the DNA found in the cell’s own nucleus. It is thought that, in evolutionary terms, mitochondria may have started out as independent creatures which set up a mutually beneficial relationship with cells of more complex organisms such as animals and plants. 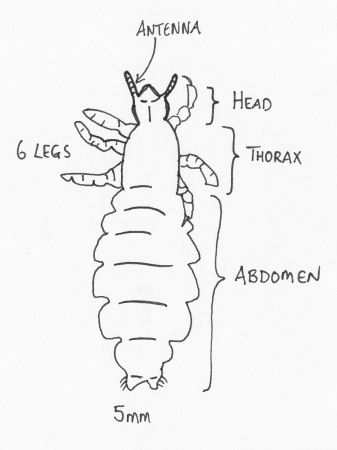 A common quandry in parasitology is identification of different types of parasites. 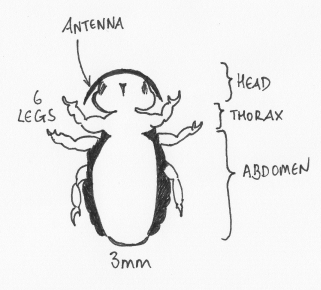 When it comes to the subject of lice, there are some happy coincidences which make life easier. 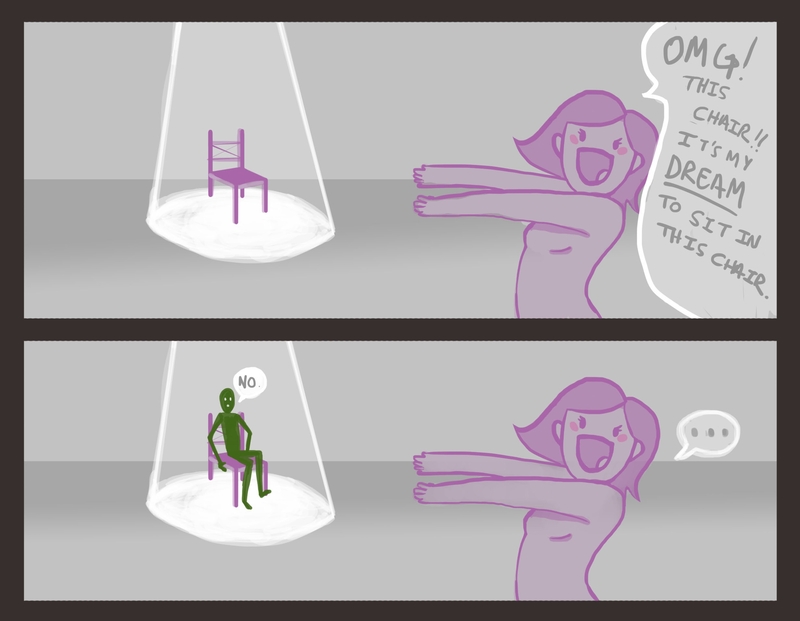 Negative feedback is a naturally occurring / automatic off-switch in the body. Imagine you are boiling water in a modern electric kettle. Your aim is to heat the water up to boiling temperature to, say, make a cup of tea. When you switch the kettle on, this has the effect of heating an element in the kettle and heat is gradually transferred to the water causing it to boil. If you keep the element on permanently, the water will gradually become steam, there will be no water left for your cup of tea and your will have wasted a lot of energy. Instead, as the water becomes steam, it passes through vents at the top of the kettle – the steam heats up a thermostat and when it reaches the set temperature, the kettle switches off. This is negative feedback because the very water which you were heating, once at the required temperature, causes the heating process to switch off. If an animal’s blood glucose begins to rise, cells in the pancreas (called Beta Cells) detect this increase and release insulin. The effect of insulin is to allow glucose to be taken from the blood, into the cells, so that the cells can use it for energy. As the cells take up glucose, the glucose levels in the blood begin to fall. Falling levels of glucose are detected by the Beta Cells in the pancreas and – this is the Negative Feedback part – insulin release is switched off. This helps to prevent glucose levels falling to dangerously low levels. Other examples of negative feedback include, temperature regulation (under central nervous influence), blood pressure control (by the Renin-Angiotensin-Aldosterone System), blood calcium control and many others. A common cause of confusion in anatomy is the difference between cilia and villi. Both of these are finger-like projections found in the body but they are found in different places and have entirely different jobs to do. Cilia are tiny hair-like structures which are found on the surface of cells lining the upper-airways (the trachea and bronchi). The job of the cilia is to WIGGLE! The airways are coated with a thin layer of mucus which traps dust and particles stopping them from getting into the lungs. 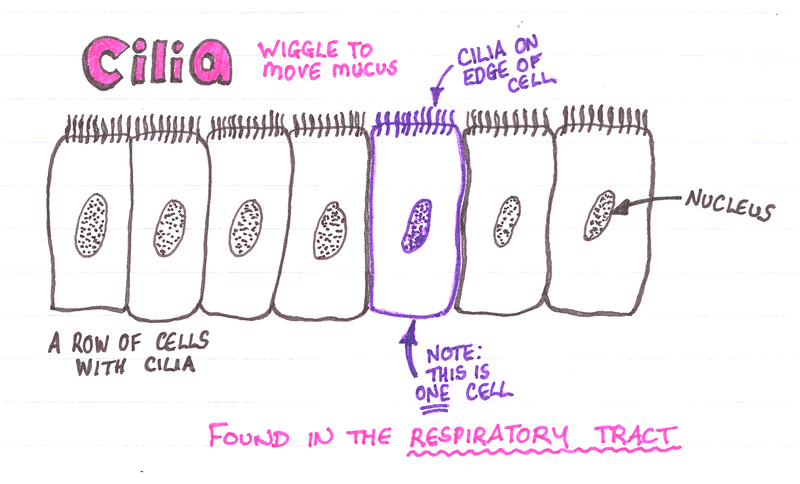 The cilia wiggle to move the mucus up the airways toward the mouth so that it can be coughed up and swallowed. 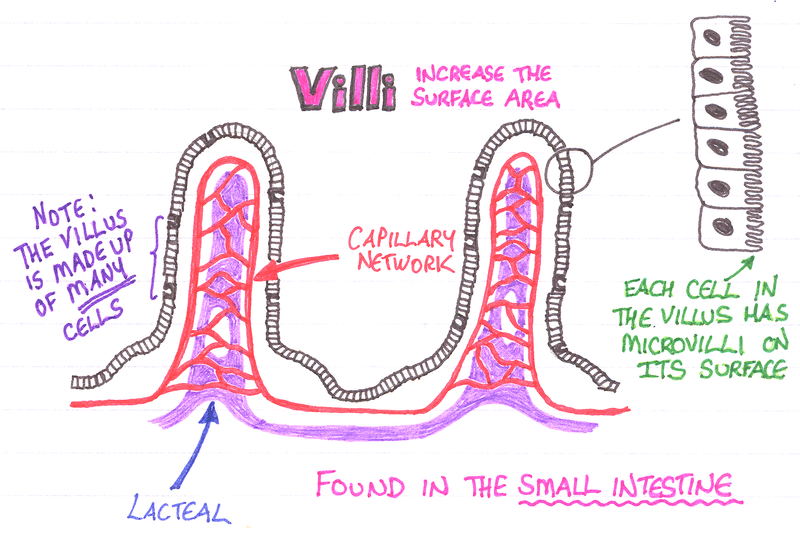 Villi are finger like structures found in the wall of the intestine [villus = one; villi = many]. Because they come out from the wall of the intestine, they have the effect of creating more space for absorption of nutrients; that is: they increase the surface area. Villi are filled with blood vessels to take away the nutrients to the circulation. They also contain a structure called a lacteal which absorbs fats from the intestine for delivery to the blood stream. The surface area of the villus is increased even further by the presence of microvilli. Microvilli are tiny structures on the surface of the villi. 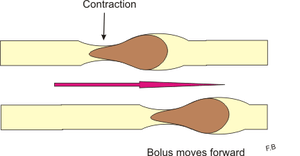 NOTE: VILLI DO NOT WIGGLE – THEY DO NOT MOVE FOOD THROUGH THE INTESTINE.